The Indian car maker has always been interesting in the past and with the launches like XUV 5OO and then Renault's Duster has brought the country in the limelight - for its capability to change the fortunes - like Indian market did for Renault. The year 2013 is going to be yet more interesting with the launch of Ford's EcoSport and Honda's Amaze however the launch of Hyundai's new i10 could not be ignored. The new i10 which was codenamed BA was also spotted testing around (click here for more details). 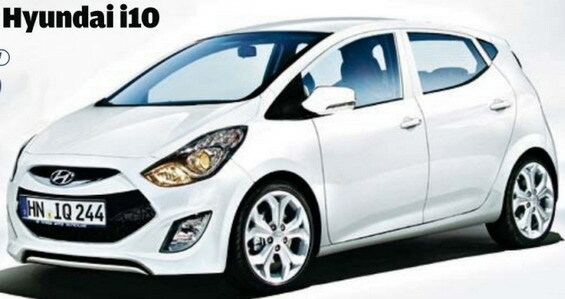 It is now been revealed that new i10 could be called as "Hyundai Brilliant" as against its much anticipated name - i15. The new car would be launched around October 2013 and will be powered by a 1.1L diesel engine apart from regular 1.1 and 1.2L Kappa engine. The carmaker, as per our confirmed sources is planning to launch a new car which would ultimately replace exisiting i10 but as of now, when launched in October 2013 will be marketed along with exisiting i10. View more details of car here.